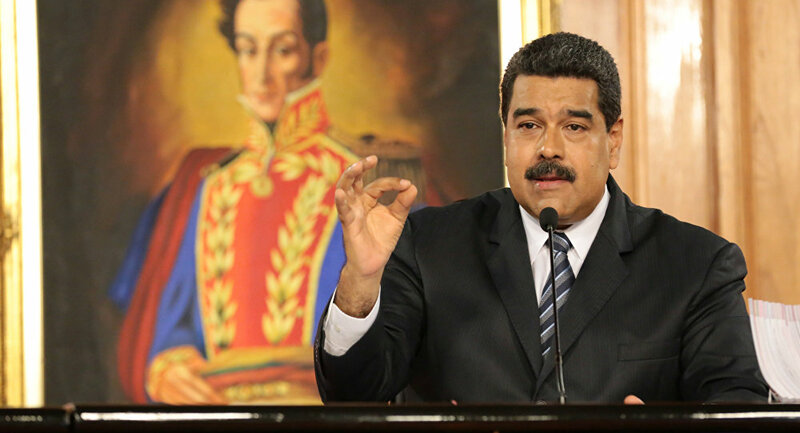 Caracas is able to withstand pressure from the United States, Venezuelan President Nicolas Maduro said Thursday in Minsk at the opening ceremony of a monument to the national hero of Venezuela Simon Bolivar. MINSK (Sputnik) — US President Donald Trump in August imposed new sanctions on Venezuela against the backdrop of protests in the country. He expressed hope that the states of the European Union would follow the example of Washington and also impose sanctions against Caracas. "Venezuela is constantly threatened by the world's most powerful empire. But Venezuela is not afraid. Those cries heard from Washington will never overwhelm Venezuela's freedom-loving spirit," Maduro said. The Venezuelan leader noted that the people of his country would "find ways to continue peaceful way." Bolivar's ideas are still alive and relevant, Maduro stressed. As stated at the ceremony, the monument to Bolivar was donated to Belarus by Venezuela "as a symbol of friendship that unites the two countries." It was installed in the center of Minsk at the square park named after the Venezuelan national hero.